Toolbox Studio is one of India’s leading video production houses and VFX studios with an extensive portfolio of high-quality audio-visual projects, films and ads. Our state-of-the-art facility with advanced technology infrastructure and a team of highly skilled artists and technicians makes us the go-to partner for VFX, animation, explainer videos, corporate films and commercials for film, TV and web. As a top ISO-certified media production company that adheres to MPAA guidelines, we are armed to provide cutting-edge solutions to a range of industries, including Film, Broadcast, Online, Digital, IT, Education, Hospitality, Automobile, Lifestyle, Manufacturing and Retail. 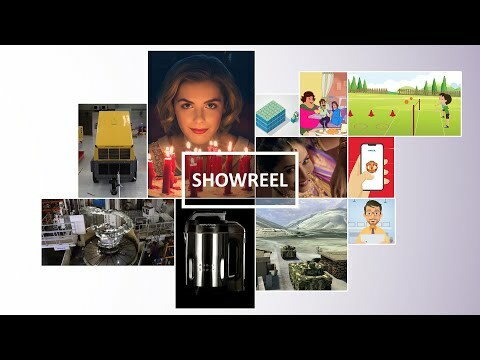 Watch our latest showreel below! animation to launch an online real estate technology brand. and meat products conglomerate to be showcased in Indian market. We have been working with Toolbox studios for quite a few years in a row. They are amazing at making the interactive videos. Many of the videos on Product explainer and Tax Education Series are created by them. They do an excellent job, coming up with creative and smart ideas when it comes to visual effects, animation, voice-over and indoor shoot of explainer videos.